This video has been everywhere lately, and for good reason. Multiple friends of mine linked it on Google Reader the other day, and I watched it with a grin. 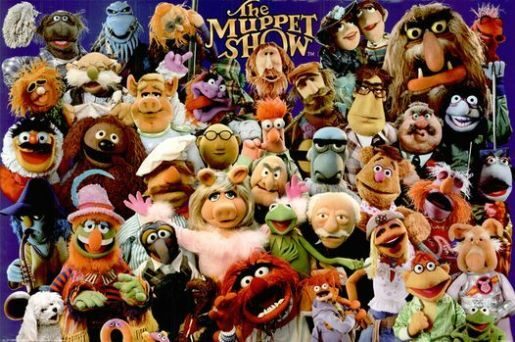 Not only are The Muppets back, they’re stretching the boundaries of how streaming video can look with this incredible cover version/music video for the 1975 Queen classic, Bohemian Rhapsody. The song and the video are both exact parodies of the original Queen video from the 70’s. I’ve watched a ton of YouTube videos in my day, and I’ve never seen one that looks this crystal clear. In fact, everything on the Muppets’ new YouTube channel looks incredible! They have to be encoding their videos some new way, because even TV shows on YouTube and official network channels don’t look as good as these videos do. I’m a huge, HUGE fan of The Muppets. As one of the generation of kids who grew up with Sesame Street, Fraggle Rock, and Muppet movies on the big screen, I’m very glad to see that they’re making a comeback and that they’re embracing technology as much as they are. Even Statler and Waldorf are on the Internet now, heckling via YouTube!